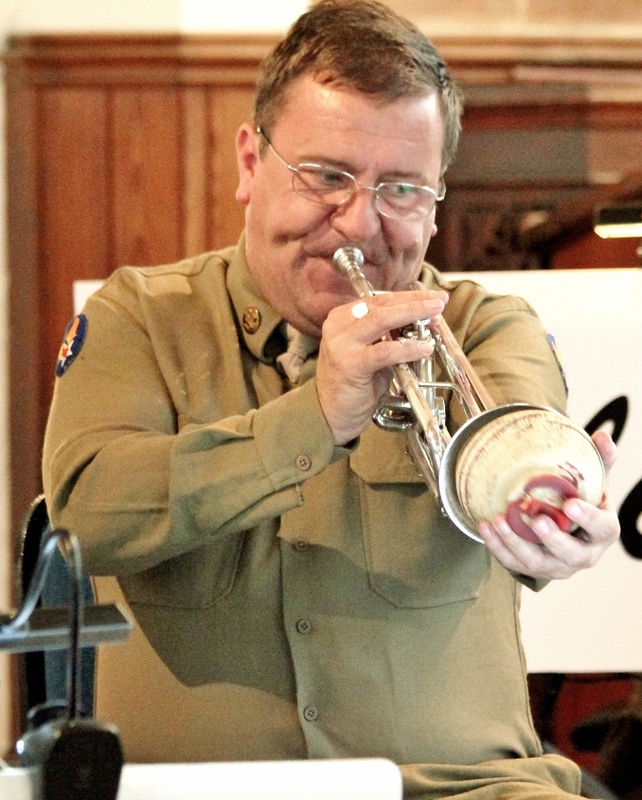 Alan Collier, Trombone, Band Leader: Alan started his musical career as a trombone player with a brass band and has played at the highest level, contesting against bands such as Black Dyke Mills and Brighouse & Rastrick. His London-based band were regularly invited to perform on BBC radio. He has played several times at brass band “National Finals” at the Royal Albert Hall and probably every major concert venue and park in London. He finished his brass band “career” by playing at the “British Open”, a lifelong ambition. When he moved to Suffolk he became immersed in the local big band scene, also playing in function bands, pit orchestras and the like. 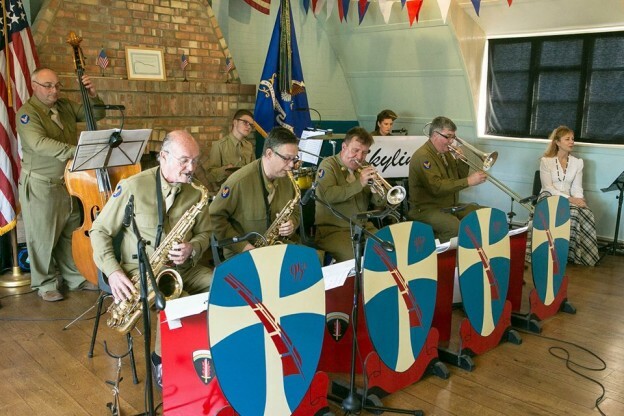 He started his 1940s-style band Skyliner after realising he could style a band around playing the right music for dancing, using authentic musical arrangements and achieving the right ‘look’. Alan is proud to be part of the Red Feather Club team and values the friendships made because of the special place that it is. Rebecca Collier, Ironing Board (Piano): Rebecca who grew up in Felixstowe, Suffolk, and started taking piano lessons at eight. A chance purchase of a Glenn Miller compilation at the age of ten started her love of jazz, in particular music from the big band era. At high school, she wanted to learn a second instrument and took up the trombone. Rebecca won a scholarship to attend Chetham’s School of Music in Manchester. After leaving Chetham’s, Rebecca chose a career in banking, keeping music as a hobby and playing the trombone in local big bands. 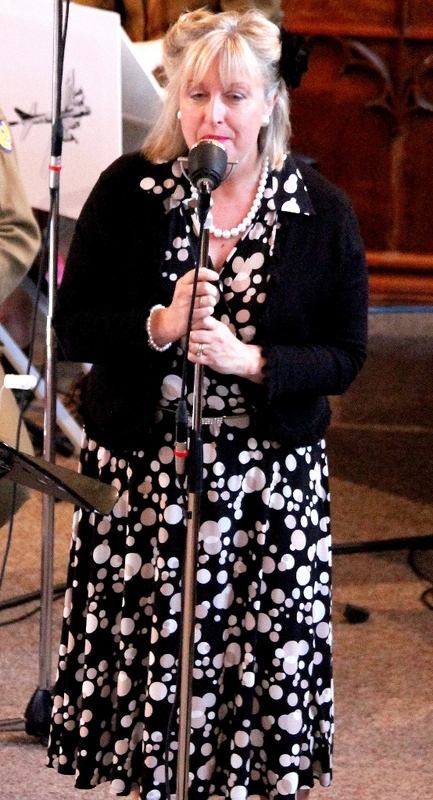 It is through playing in big bands together that Rebecca met her husband, Alan. Rebecca works at a school in Ipswich and is training to become a music teacher. 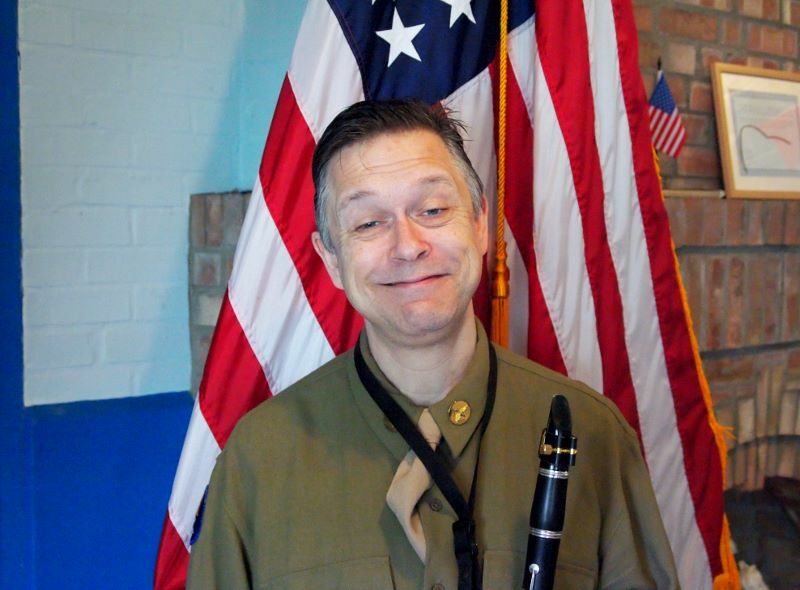 Dave Osborne, Trumpet: Dave has been a professional musician for more than 30 years. He also arranges music for bands and cabarets. He’s travelled around the world seven times aboard cruise ships and was the last bandleader on the QE2. Originally from Scotland he has been based in Norfolk since the early ‘90s. He now teaches, freelances for bands and leads ska and strict tempo dance bands. Lindsey Ball, Vocalist: Lindsey’s first appearance in a band was with Suffolk Punch, when she was just 15. When she was 19 she joined Hickory Lake, who were voted Top British Country Band. They toured in the US and Canada and made regular appearances at the Wembley Country Music Festival supporting Tammy Wynette, Johnny Cash, Kenny Rogers, Willie Nelson and Crystal Gayle. In 1988, she formed The Lindsey St John Band. They won the British Country Music Association’s Most Promising New Act. Lindsey was nominated as BCMA’s Best Female Artiste for four consecutive years. In 1995, she moved back to Norfolk to be nearer to her family, and in 2001 was invited to join the Jonathan Wyatt Big Band. 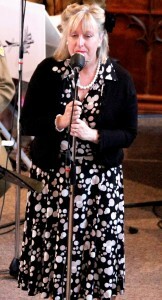 She is also a member of The Moonglow Sisters, who appear with the Big Band recreating the sound of The Andrews Sisters. 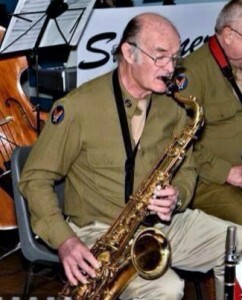 Russell Unwin, Alto sax, Clarinet: Born in Norwich brought up in Great Yarmouth he was classically trained at music college and was a woodwind teacher for Norfolk County Council for 25 years. 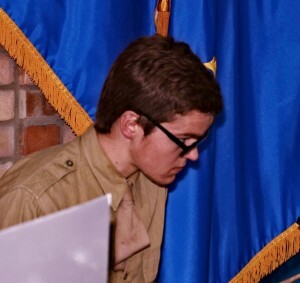 He has played all kinds of music from rock through jazz to classical and worked in function bands, on cruise ships, theatre orchestras and the Glenn Miller tribute band. Adam Chinery, Drums: Is a Guitarist and Drummer from Essex who plays with various bands and occasionally as a solo artist across Cambridge, East Anglia and London, in bands of styles ranging from rock and pop to traditional jazz, as well as having dozens of shows and musicals under his belt. He also now plays with NYJO 2 in London, arranges for bands, and has done session work for TV and produced backing tracks for artists and theatre groups in a wide variety of locations. 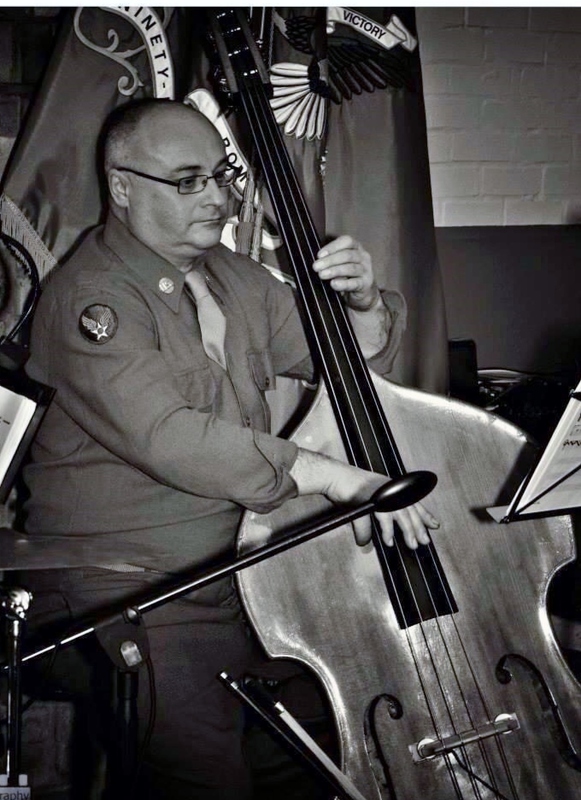 Nigel Emerton, Upright Bass: Nigel started playing the double bass at School and soon found himself in the School orchestra, then the Luton youth orchestra, followed by Bedfordshire county youth orchestra playing at the Edinburgh festival, The Royal Albert Hall, and touring Cyprus. 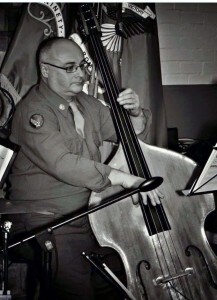 During this time he acquired his first Bass Guitar and started playing Jazz and Swing with the Bedfordshire youth Jazz Orchestra, and over many years, various other Dance bands and big bands. 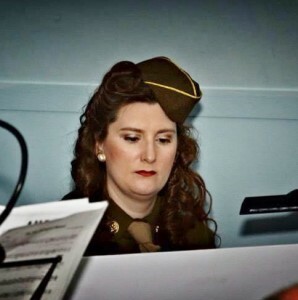 these included:- Page 3 Big Band, The Chico Arnez Orchestra, Five Star Swing, String Of Pearls Orchestra, and over 20 years with the party / function band Aries. Nigel is very pleased to now play with Skyliner. Originally from Carnoustie, Scotland, Lyall started his musical career on violin, playing classical music with the Dundee Chamber Orchestra, and also playing Scottish country dance music. He then heard Earl Bostic and Charlie Parker, so it was “goodbye” violin and “hello” saxophone! 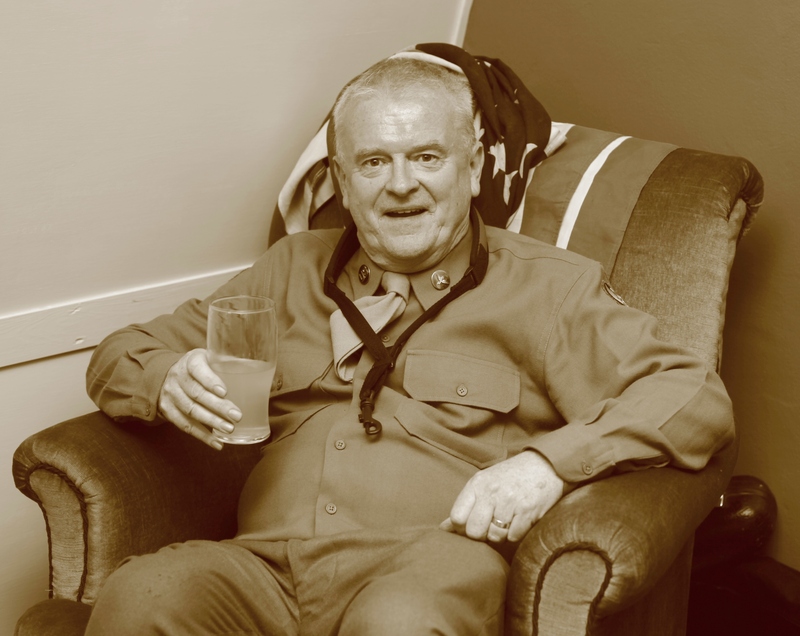 He then caught the tail-end of the “Palais de danse” bands, playing in Arbroath and Dundee palais bands, and also playing in jazz groups whenever possible. Then followed several years playing in palais bands in Wolverhampton, Birmingham, Walsall, Dudley, and Kidderminster. 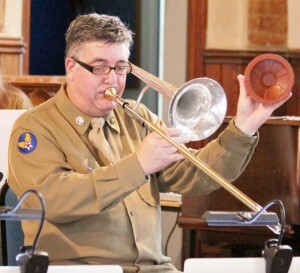 Moving to Essex, he then played with several big bands, function bands and jazz groups around the Southend area. Moving to Suffolk in 1978, Lyall then freelanced with big bands, function bands, pit orchestras, jazz groups and even a saxophone octet/nonet. Now delighted to be playing with Skyliner as he is old enough to remember this type of music first time round!!! Greatest claim to fame so far – played “A Million Love Songs” duet with Gary Barlow, which then appeared on “youtube”! Clive started Clarinet, Sax and Flute at the age of 12 in Bognor Regis where he grew up.At 15 he and his brother Nigel became long term members of National Youth Jazz Orchestra where he learnt his craft. 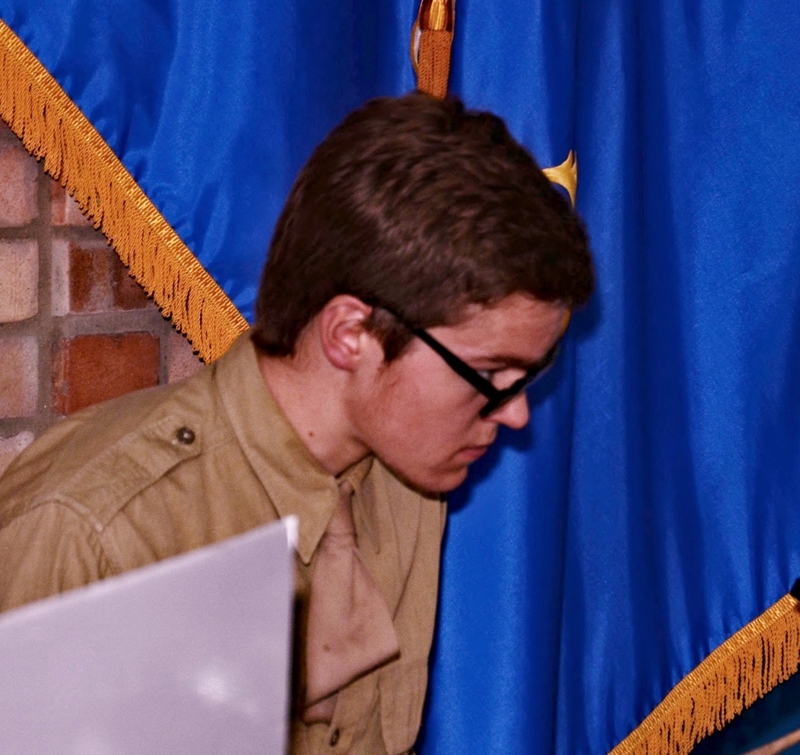 Being a member of NYJO meant that work wasn’t far away. At 17 Clive moved to London and spent many years freelancing in function bands for London Hotels and West End Pits for shows including 42nd Street, Song and Dance, Barnum, Cats, Starlight Express, Mack and Mabel, Sophisticated Ladies as well as touring shows such as West Side Story, Evita and Bitter Sweet with the Sadler’s Wells Opera. Clive also spent extensive time in TV studios doing such things as Des O’Connor Tonight, Michael Ball show, Pot of Gold, Parkinson Show backing Phil Collins as well as pop sessions for Take That, Tina Turner, etc This continued until Clive got an Alto sax chair in the BBC Radio Big Band at the age of 23 and was a regular member for 10 years. During this time backing famous names including Van Morrison, touring U.S with George Shearing, Rob McConnell, Bob Florence, Jools Holland, Dr John, Cleo Laine and John Dankworth etc. Clive moved to Norfolk in 1994 to get married and bring up his family. He still plays in local bands and shows and is thrilled to be a part of Skyliner.